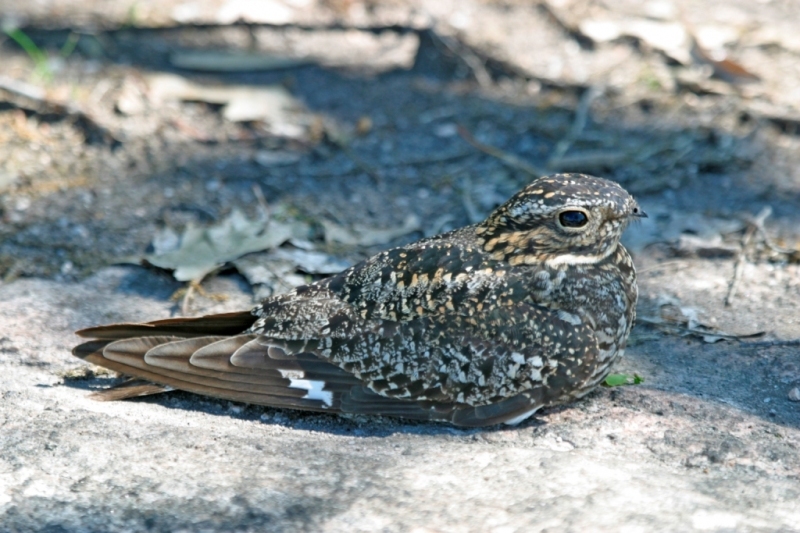 Member of the goatsucker family, this robin sized bird has a large head and a comparatively small bill. Mottled grey, brown, and black with wide white wing bars under wings, males also have a white chin and bar across underside of the tail. Long, deeply pointed V shaped wings in flight. Circle of whisker like bristles assists in scooping insects. Not a hawk or strictly nocturnal but it is usually seen on the skyline at dusk or dawn with their incredible aerial acrobatics as they screen insects with their gaping mouths from the air. Migrant returning to this area mid May after wintering in South America. Average life span of 4-5 years. Ground nesters, which in urban areas may be on flat top buildings. 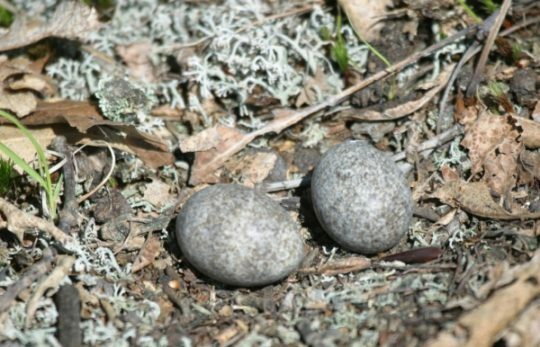 They make simple scrape nests and are perfectly camouflaged sitting on nest. During mating season, the males perform fighter pilot like stunts- plummeting to the earth, pulling up metres from the ground. Their wings make a “booming” sound as wind is forced through cupped feathers. Rocky areas, clearings and urban areas. 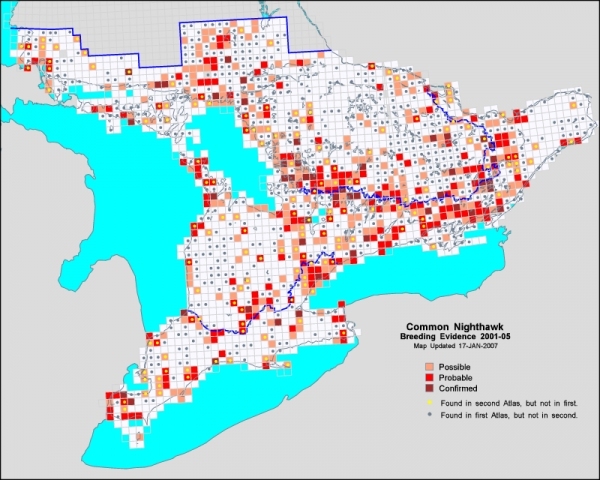 50% decline in some areas where open habitat is less common. Urban nesting nighthawks are vulnerable to predation by house cats.